Back in July, PIKOM have officially confirmed the return of WCG Malaysian Championship for 2013 which will take place in Berjaya Time Square from 8 to 10 November. As promised, they have now begin to accept registration from players who are interested in competing in the tournament which is one of oldest competitive gaming event in the country. However, the list of WCG Malaysia 2013 official games have been trimmed from the original seven titles down to only three games. All in all, only FIFA 14, StarCraft II: Heart of The Swarm and Super Street Fighter IV Arcade Edition Ver. 2012 survived the cut. Additionally, the list of prizes for the event is still not available at the time being. 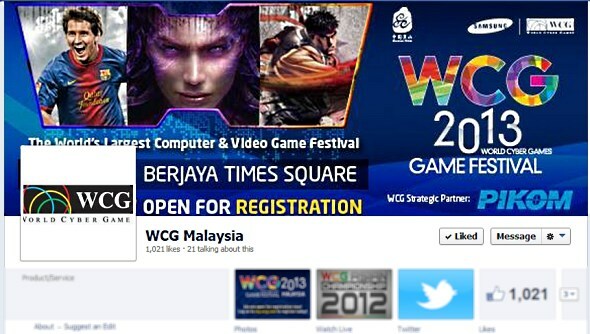 Nevertheless, the registration fee for each participant has been set at RM 30 and all gamers that would like to answer the WCG Malaysia 2013’s challenge are able to register themselves at the tournament’s official website right here. If you are planning to compete in FIFA 14, do stay tuned for our subsequent article as we will be detailing the extra qualifier route that PIKOM have set for you guys.